Effective senior leadership has never been more important in healthcare than it is today. Our healthcare and leadership teams collaborate on a daily basis to help clients do a better job of selecting and developing senior leaders. Our clients want leaders who will be effective – effective at steering these organizations through the most challenging time in the history of healthcare. Too political – With leaders who are part of the selection process putting personal agendas and relationships above the good of the organization. Inconsistent – An organization that puts a great deal of thought into an efficient and effective approach to hiring nurses can also have a poorly defined and executed approach to recruiting and evaluating senior leader candidates which can result in the loss of good candidates, yielding poor hires. One step in the right direction is more attention to defining what behavioral skills and attributes are necessary today because they’ve changed significantly from only a few years ago. Communication and the ability to tailor communication styles to the audience and situation. Understanding data and technology, and converting that understanding into strategy, projections, trends, and insights. The ability to build exceptional teams. 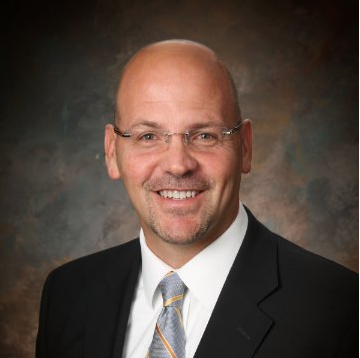 Paul Glatzhofer is an Industrial/Organizational Psychologist and Director of our Leadership Solutions Team at Select. His group performs thousands of behavioral assessments of senior leaders each year – both for selection and development. He’s worked with some of the largest health systems in the country. I asked him to comment on these specific behavioral traits and what he sees as we evaluate healthcare leaders. There’s no doubt that we’ve been evaluating different traits over the past few years – or at least emphasizing different traits. In the past, organizations asked us to focus on general cognitive ability and leadership skills. Today, they want to know if the candidate has emotional intelligence, the ability to deliver results, and the ability to lead a team. They also want the candidate to be able to learn and apply what they learn in different situations (i.e., learning agility). Leaders are not failing because of some specific technical skill they are lacking. Rather they tend to fail because they make poor decisions and aren’t able to adapt their approach to changing circumstances. More so than any other industry, healthcare organizations are incredibly complex. A CEO may have expertise in a few areas, but he or she needs a strong leadership team that has to be able to digest an enormous amount of data and information, process it, and make accurate and quick decisions. The organizations that are able to understand what is happening in real-time, and adjust accordingly, are the ones that will rise to the top over the next 5-10 years, especially in our current landscape where we are seeing a consolidation of players and huge systems emerging. The systems who can continue to make quick and accurate decisions will win market share. Understanding technology is going to play a huge role in this as well. Sometimes the hiring and development processes need to be redesigned with clear goals. Organizations need to know what they need to measure, how they are going to measure it, and what they are going to do with that data. The goal should always be a more objective, data-driven decision making process. Research shows over and over again that this approach is far more likely to be effective. Given the challenges facing these organizations, a wrong choice can have devastating consequences. The good news is that we are reaching a consensus on the skills that are generally required for success. What’s still missing for most organizations is a refinement of which traits and skills are the highest priority for THEIR current situation, and a more deliberate and predictive approach to evaluate these skills in a manner that is efficient and creates an impressive and positive candidate experience.